The meal kit industry is now well developed and is at the stage where it can really service any demographic. When it comes to looking after seniors they offer all sorts of advantages to make life a little easier. Good nutrition is important at any age, never more so than in our later years. A healthy diet for seniors needs to consist of plenty of fruits and vegetables, lean meat and fish and good starches such as brown rice, whole grain. However, it can be a challenge for our seniors to ensure that they eat well. Especially if getting around is a challenge. Also, at times, planning a weekly menu along with completing a grocery shop and cooking evening meals can be overwhelming. The beauty of a meal kit service is that they can deliver either meal kits that are ready to cook or fully prepared meals without the fuss and bother of planning and preparation. They also offer a very financially viable alternative, often working out to be even cheaper than preparing meals on your own. At The Meal Kit Review, we have investigated the meal kit services that are available and come up with our recommendations of the companies that best service the needs of the senior population. Get Up to 20% OFF from Silver by BistroMD! Silver Cuisine by BistroMD is a prepared meal delivery service, that is focused on catering to the third age demographic. Silver Cuisine by BistroMD is a company that believes that food is our medicine. They are passionate about creating delicious meals that only serve to enhance their senior customer’s lives. 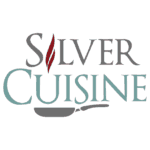 All the meals at Silver Cuisine by BistroMD are created with the nutritional needs of the third age in mind. You can rest assured that with Silver Cuisine by BistroMD you are eating healthy and delicious meals that have been designed by doctors and prepared by chefs. As their meals are fully prepared, all that is required is to heat the meals prior to serving. No shopping or preparation needed! Other Highlights: Specialty diets are catered for including Heart Healthy, low carb and Mediterranean to name a few. Balance by BistroMD is a prepared meal delivery service. they are all about better and healthier eating. No cooking is required and no membership or minimum order limit. Just order what you want, when you want! 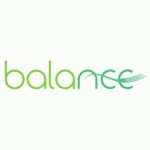 Balance by BistroMD is a prepared meal delivery service that is focussed on providing healthy food for special diets. The company offers the convenience of using their service with no membership commitment needed. This means there is no minimum order limit and you can simply order what you want, when you want it! Balance by BistroMD was founded by Dr Caroline Cederquist, who is a certified physician who specializes in bariatric medicine – the study of how food is broken down in the body and converted into fuel. This means that with Balance by BistroMD you are receiving delicious meals that have been designed by doctors and are nutritionally well balanced and taste great as well. All meals have been fully prepared so all they require before serving is heating which takes no more than five minutes. Other Highlights: No subscription or minimum order. Specialty diets are catered for including Heart Healthy, low carb, Mediterranean and gluten free. Sun Basket delivers meal kits that are ready to cook. They are all about organic and healthy food choices working with 100+ farms to ensure that they are supplying on the best organic ingredients. Sun Basket also specializes in providing options for people who have special dietary requirements, and many of the dishes on their weekly menu are suitable for seniors needs – like lean & clean, Mediterranean diet and diabetes-friendly meals that are low on carbs and fat. Other Highlights: gluten-free, vegetarian, Paleo, diabetes-friendly, Mediterranean, lean & clean, dairy free, soy free and more. Home Chef is a huge believer in the importance of enjoying meal time at home. They deliver wonderful classic dishes that often come with an interesting and delicate twist. The Home Chef weekly menu includes a great variety of vegetarian dishes, calories-conscious or carb-conscious, that can fit the senior diet needs. The company deliver the best quality farm-fresh ingredients with each meal. With Home Chef you will be guaranteed to save time, reduce food waste and eat delicious meals every time. Home Chef is all about reassuringly classic meals that are not too complicated to cook. Other Highlights: Vegetarian and family friendly meals, 5-minutes no-cooking needed lunches, smoothies and fruits add-ons.